Pink Flag will be playing a pre-hopscotch teaser show and introducing a little new material at beloved downtown venue the Pinhook (117 w Main st, Durham, NC 27701). 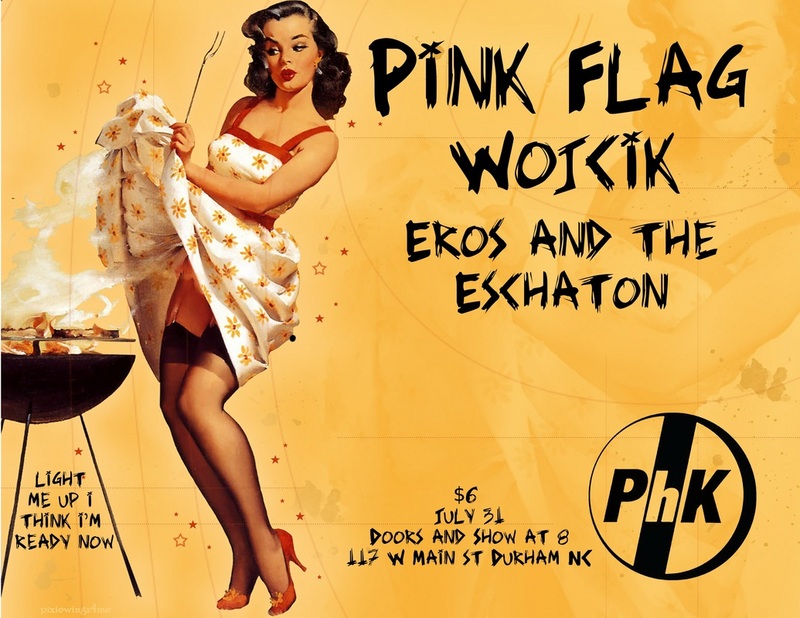 We're pleased to announce that Pink Flag will be playing the Pinhook in Durham on July 31 with Brookyln's Wojcik and Greensboro's Eros and The Eschaton. 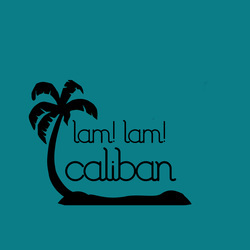 Expect to hear a slew of new material in anticipation of a new recording, and watch this space for news regarding the previously shelved full-length including many of your favorites! In anticipation of the show and release, enjoy this preview of your favorite old songs, on record! 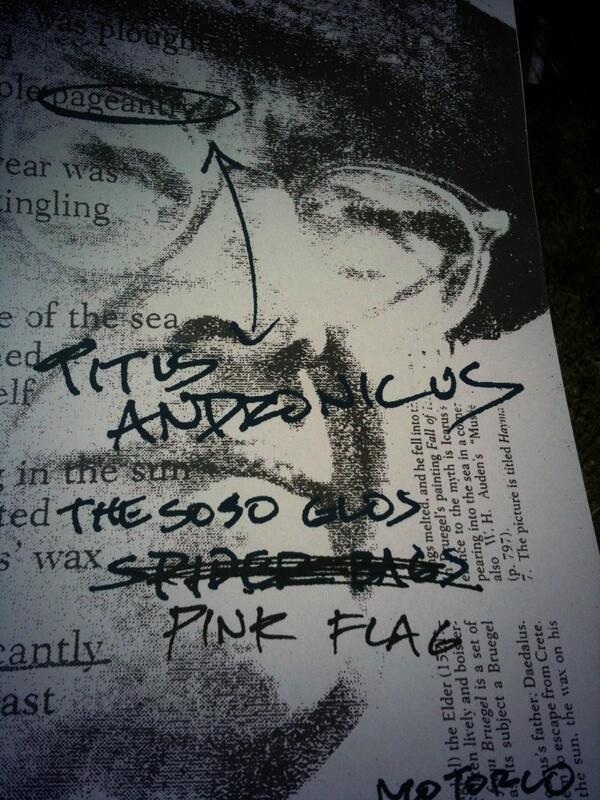 Pink Flag to open for Titus Andronicus! 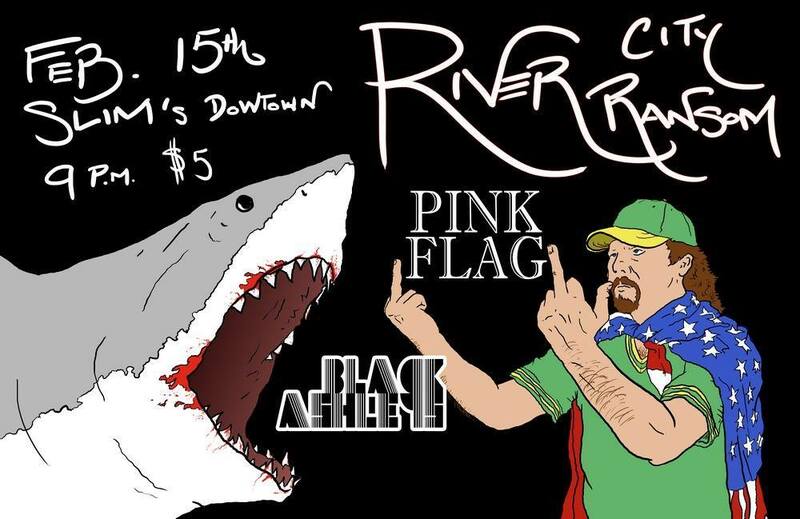 Pink Flag will be joining the bill on 5/17 at Motorco in Durham, NC with NJ's anthemic rockers Titus Andronicus and Brooklyn punk rockers So So Glos. Show promptly at 9pm, Pink flag is first! If you don't have tickets, BUY THEM NOW! This may sell out! *Special thanks to BYH's favorite graphic designer Kitchen Island Show Print for the flyer update! 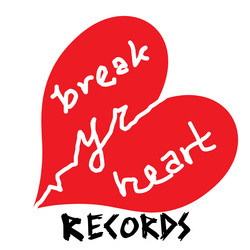 Pink Flag will be back this week to open for Irish britpop band Ash at the Local 506 on 11/14. MARK YOUR CALENDARS. 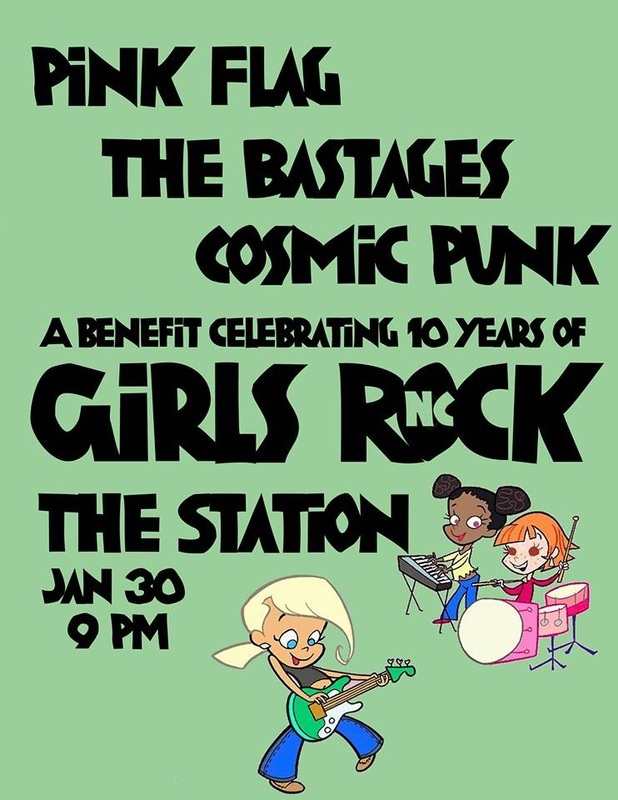 This Saturday night, Pink Flag will be headlining First One's Free at the Pinhook. For the uninitiated, FOF is the free concert series sponsored by Churchkey Records and the Pinhook to bring awesome rock and roll to your door the first Saturday of every month. J Kutchma (solo) will open.